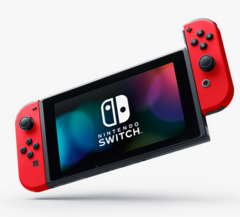 The latest software update for the Nintendo Switch hybrid game console comes with Save Transfer, which allows players to transfer save data between Switch consoles without an online subscription, a Zoom feature, new game sorting options, and various minor tweaks and fixes. Alongside the console firmware, a controller update has been issued as well. Nintendo has just unleashed a new firmware update for both the Nintendo Switch hybrid console and its controller. However, the controller's new software does not come with any noticeable changes, so we will focus on the changes that come with the firmware update 8.0 for the Nintendo Switch instead. Obviously, the new firmware also includes general stability and performance improvements. The Nintendo Switch has been released back in March 2017 and is still globally available for purchase. As of December 31, 2018, Nintendo had shipped over 32 million units worldwide.